Luka believes strongly in defending every case fearlessly, tirelessly and thoughtfully. He understands that every charge represents unique challenges and stresses. These can only be overcome with careful preparation and an unrelenting desire to fight the odds. Luka first received his BA(H) and JD at Queen’s University. There he worked at the Correctional Law Project, a clinic that specializes in representing inmates at federal penitentiaries. From that point on, Luka has devoted his entire career to representing those trapped in the criminal justice system. 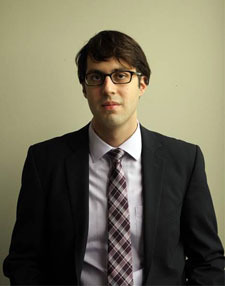 He articled at one of Toronto’s finest defence firms and joined another as an associate. He has remained at David G. Bayliss Professional Corporation ever since. 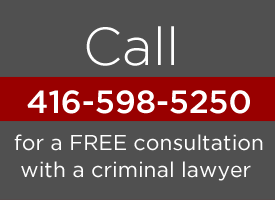 Luka has successfully defended numerous clients in complex and very serious matters at the Superior Court of Justice and the Ontario Court of Justice. He is well versed in challenging wiretaps and search warrants and in conducting both jury trials and non-jury trials alike. In championing the underdog, Luka has taken on a very wide array of matters. He has participated in large guns and gangs project cases as well as drug distribution and criminal organization prosecutions. He has also been involved in highly individualized cases such as murder, domestic and sexual assault, robbery, impaired driving, criminal harassment and human trafficking allegations. Luka’s focus has extended to niche areas of the law as well such as cybersecurity, computer, and tech based criminal offences. While Luka primarily takes on cases in Toronto and the Greater Toronto Area, he is passionate about his work and may conduct matters located elsewhere. You can follow him further at www.radosdefence.com.